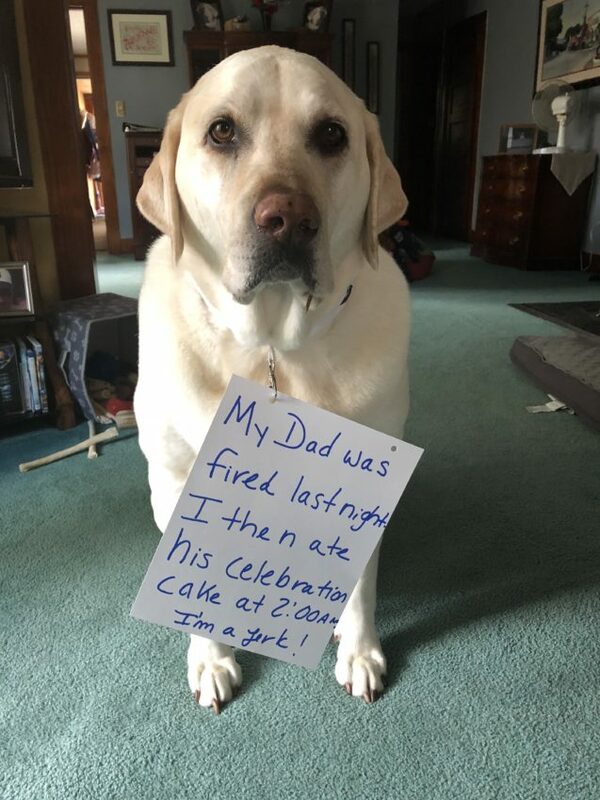 Posted December 14th, 2018 by dogkeeper & filed under Bad Bakers, Dog Shaming, Pilfering Pooches, Submitted. 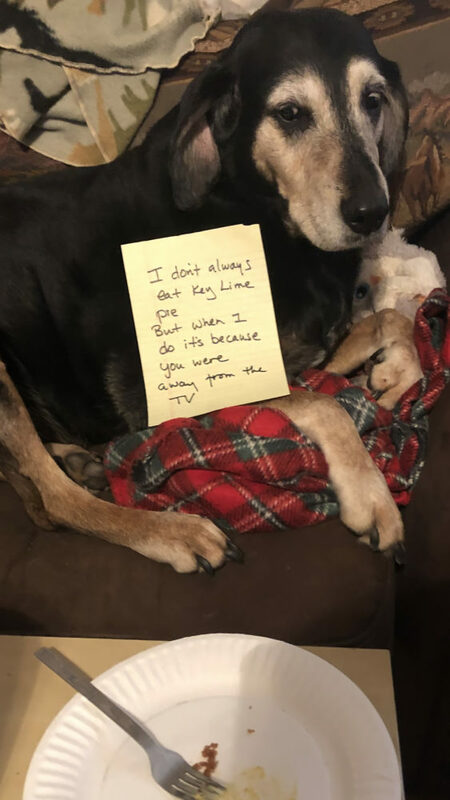 Posted December 13th, 2018 by dogkeeper & filed under Pilfering Pooches, Submitted. 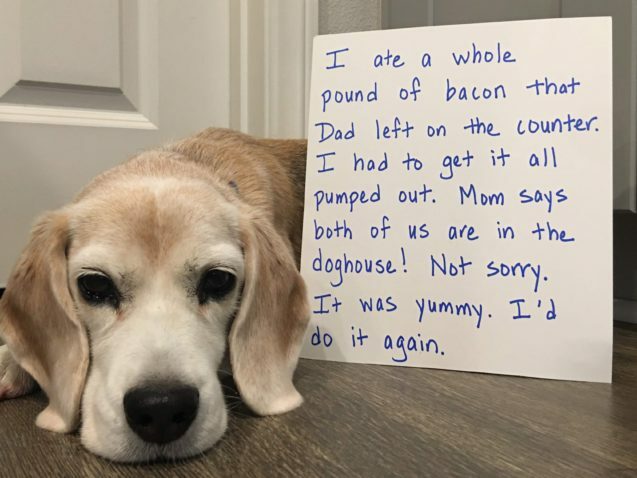 I ate a whole pound of bacon that Dad left on the counter. I had to get it all pumped out. 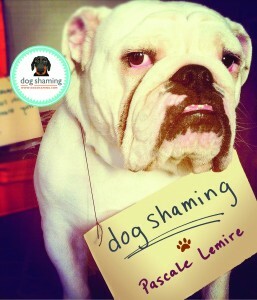 Mom says both of us are in the doghouse! Not sorry. It was yummy. I’d do it again. 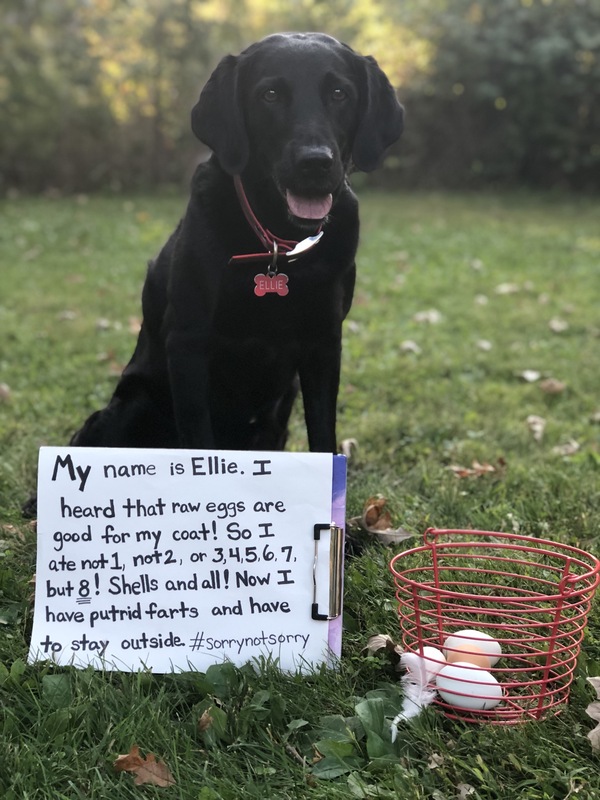 Posted October 27th, 2018 by dogkeeper & filed under Farting Furballs, Pilfering Pooches, Submitted. My name is Ellie. I heard that raw eggs are good for my coat! So I ate not 1, not 2, or 3,4,5,6,7, but 8! Shells and all! Now I have putrid farts and have to stay outside. 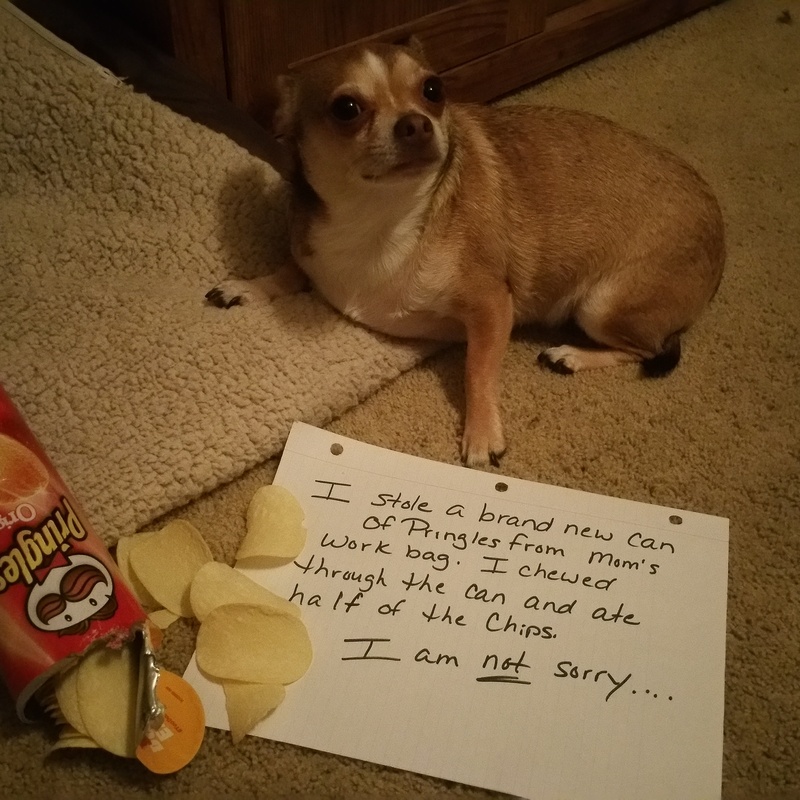 Posted August 15th, 2018 by dogkeeper & filed under Pilfering Pooches, Submitted. Wow! 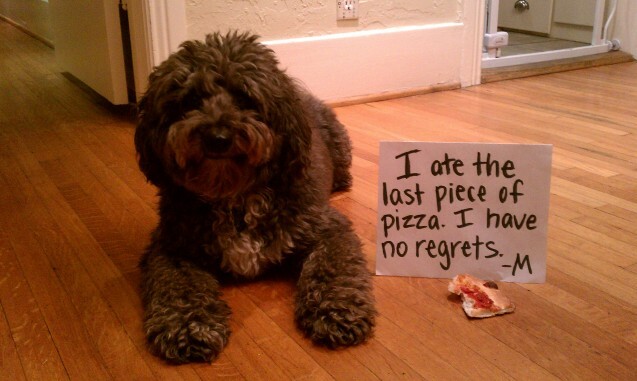 I like taco pizza too. Posted August 8th, 2018 by dogkeeper & filed under Pilfering Pooches, Submitted. Leo is like a dog in a cat’s body. 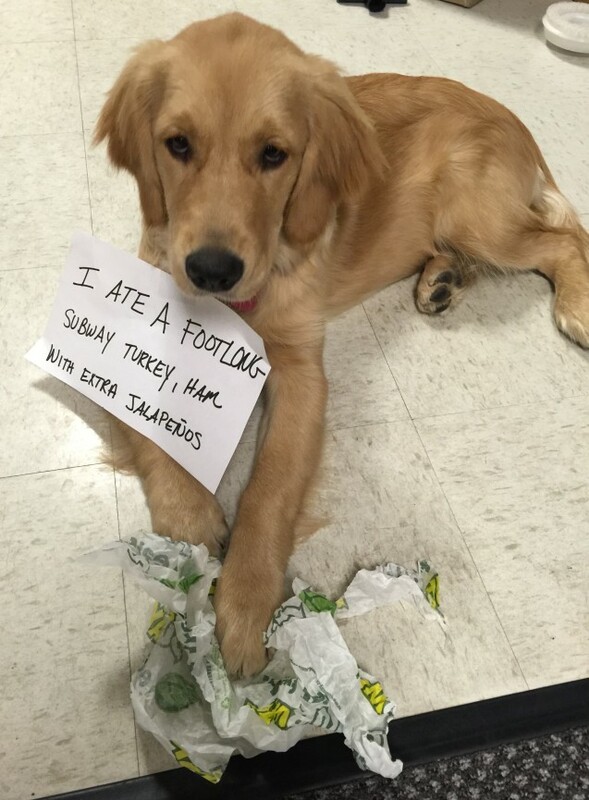 He lives for food! 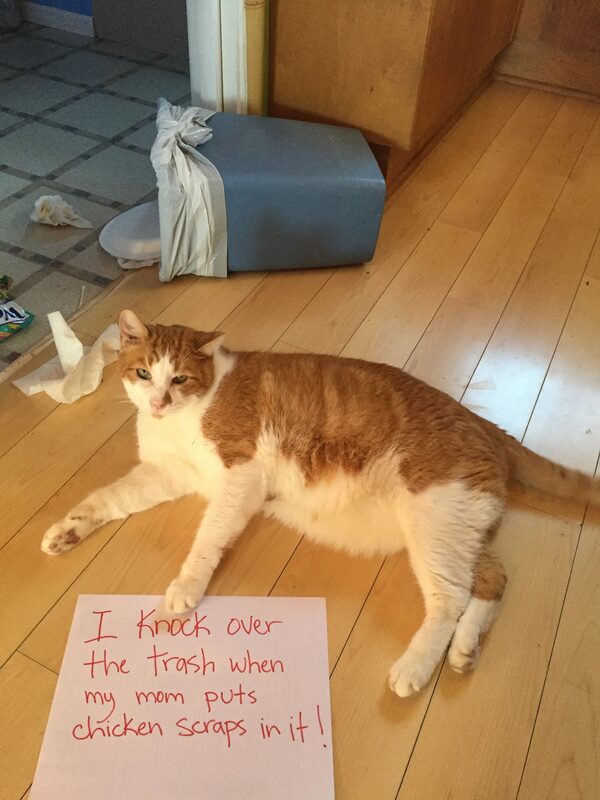 So, when I throw something in the trash that he thinks could be good….this happens! 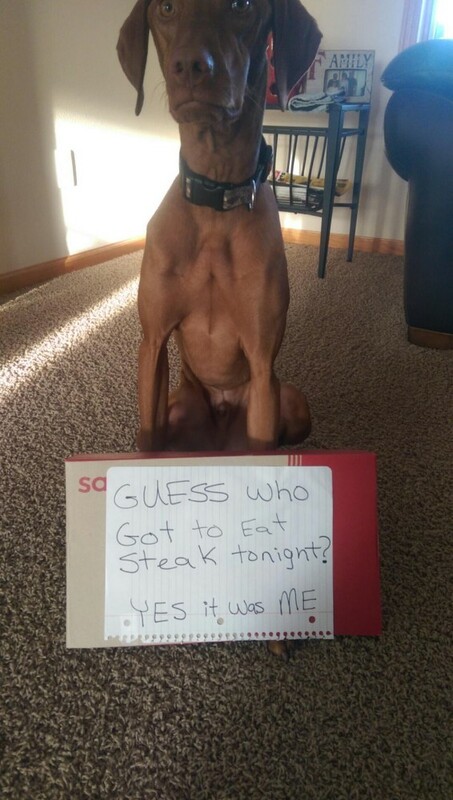 Bad “dog”! Posted August 4th, 2018 by dogkeeper & filed under Pilfering Pooches, Submitted. 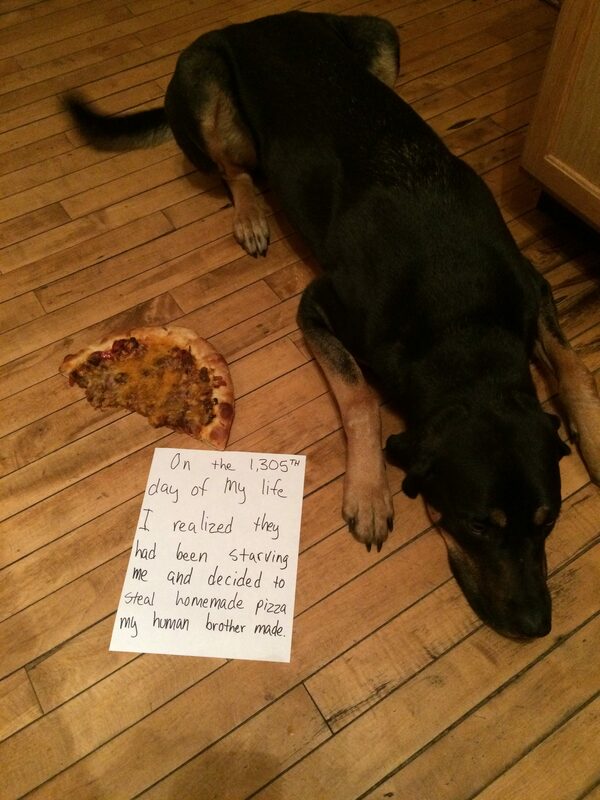 Posted July 26th, 2018 by dogkeeper & filed under Pilfering Pooches, Submitted. Posted July 25th, 2018 by dogkeeper & filed under Pilfering Pooches, Submitted.